This mountain monument in Black Hills, South Dakota depicts the Oglala Lakota warrior, Crazy Horse, riding a horse and pointing into the distance. Commissioned by Henry Standing Bear, a Lakota elder, the memorial's sculpting began in 1948 and is still working towards completion. 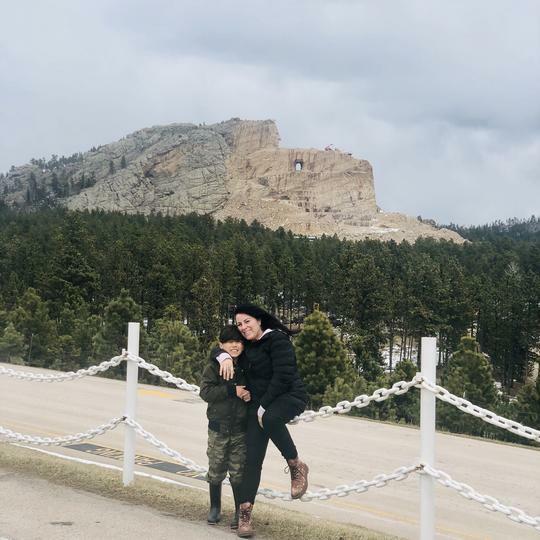 The memorial is operated by the Crazy Horse Memorial Foundation. Its master plan includes the mountain carving monument, a North American Indian University, an Indian Museum of North America, and a Native American Cultural Center. 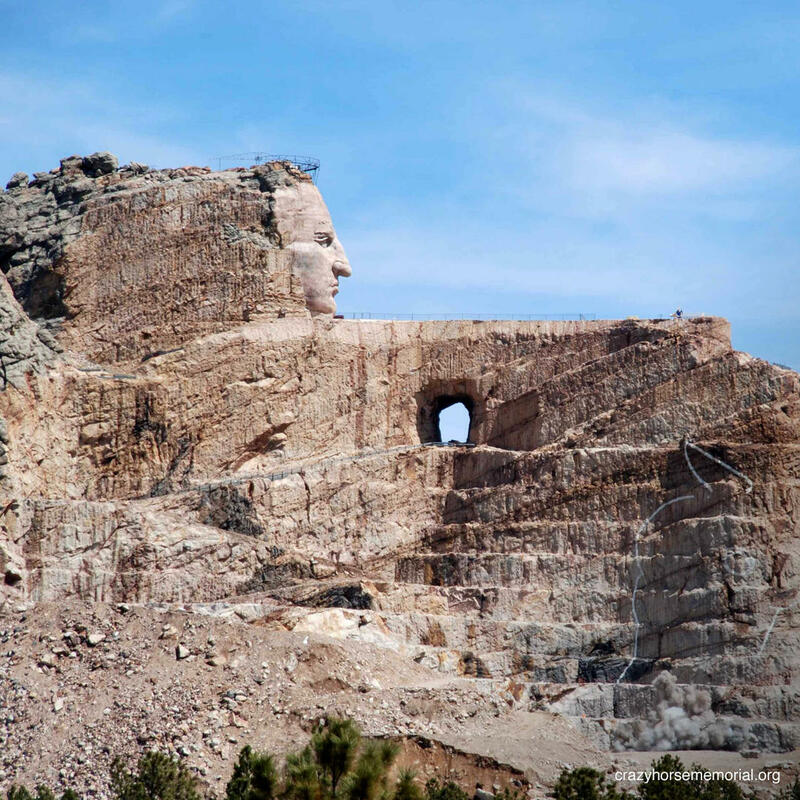 The Crazy Horse monument is being carved out of Thunderhead Mountain which is roughly 17 miles from Mount Rushmore. Its final dimensions are to be 641 feet wide and 563 feet high. Crazy Horse's head will be 87 feet high.